This week, I’m doing presentations for the Digital Done Wright social media class at my alma mater, Wright State University. I’ll be discussing how I use social media to connect with my readers. Notice that I didn’t say, how I use social media to sell books. Sure, sales are generated via social media connections. Absolutely. But you shouldn’t think of social media as your personal billboard. It’s where you engage your readers and fellow writers, not where you sell to them. Which brings me to my first point . . .
It’s not wrong to promote yourself or your work via Twitter. I do it regularly, but it’s all about the ratio. 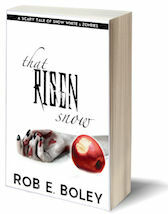 For every one tweet about how the ebook of That Risen Snow: A Scary Tale of Snow White & Zombies is currently on sale for free on Amazon, you can bet I send several dozen more non-promotional tweets about an array of other topics. People don’t want to be marketed to. They want to be entertained and/or informed. So, entertain and inform your followers. Earn the right to advertise to them. For the love of all that’s good and proper in this world, don’t send automated messages to new followers asking them to buy your book, follow you on Facebook, read your blog, or juggle flaming poodles. These messages always come off to me as desperate and tacky. It’s like meeting someone at a bar, getting their phone number, and minutes later texting them to ask for money. Don’t be that person. Which brings me to my next point . . . Ask for feedback or opinions. It’s a conversation, not a soliloquy. However, one of the great things about social media is that it’s very fluid. You’re not set in stone. Which brings me to my next point . . .
No one is really going to remember what/how you tweeted a year ago. So, if you do something on social media but find it’s not working for you, change things up. Don’t be afraid to try new things. When I first started my website, I blogged about DIY parenting activities that I did with my daughter. I blogged about that for several months and probably generated enough posts to fill a book. Eventually, I switched to blogging about writing instead, as that fit better with my online platform. Sure, I hope that the same people who are looking for fun things to do with their kids are the same people that want to read dark fantasies about maniac zombies biting dwarfs, but I suspect these two audiences vary widely. Conversely, I used to tweet a lot of writing tips. Those tweets earned plenty of favorites, but I eventually moved away from doing those tweets. Finding new material each week got cumbersome, and I just wasn’t feeling it. Now I tweet more about stuff that I find intriguing or amusing, and leave the writing stuff to my blog. Which brings me to my next point . . .
Don’t post stuff that YOU don’t care about. Think about what interests, fascinates, and/or pleases you, and post/tweet about it. Find sites that post news items you appreciate, follow them, and share their content (notice I said share, not steal). 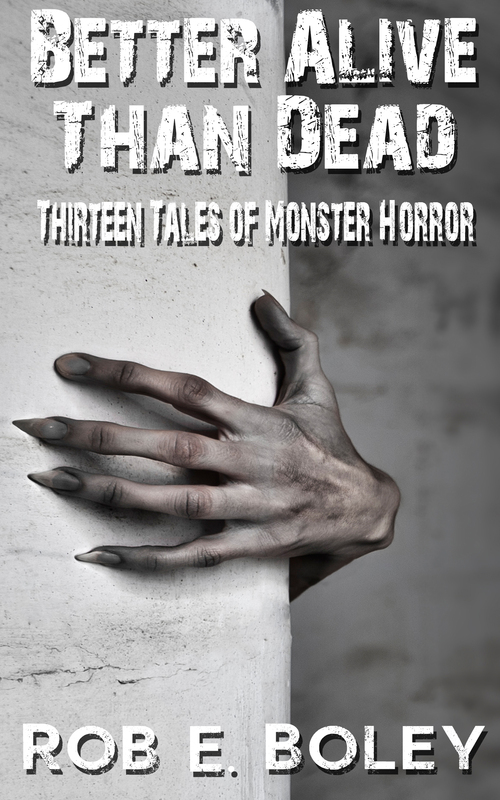 One of my favorites right now is ihorror.com, a site that posts all kinds of horror-related news. I probably share one of their news stories on a daily basis, which fits nicely with my genre of writing. But I also have a humorous streak to my writing, so I tend to post a lot of random comic strips from The Oatmeal. Of course, you can post to your heart’s content, but it does you no good if no one’s reading. Which brings me to my next point . . . The easiest way to get new followers on Twitter is to find someone who is like you but already has oodles of followers. Maybe it’s Stephen King. Maybe it’s J.K. Rowling. See who is following this person, and then start following those followers. If you’ve got some decent content out there, odds are that a lot of these folks will follow you back. Simple as that. Of course, this can be a very time-consuming process. Which brings me to my next point . . .
Tweepi – Shows you who you’re following who isn’t following you back, and lets your unfollow them very quickly. Also lets you find and follow the followers of other Twitter users. Hootsuite – Allows you to schedule posts and tweets ahead of time. I used to schedule tweets throughout the day, but I’ve scaled it back a bit. Now, I just schedule one post first thing each morning (because I should be writing then, not screwing around on social media). IFTTT – Stands for IF-This-Then-That. This site has all sorts of cool solutions (or recipes) allowing you to combine content across multiple platforms. I use one that automatically posts Instragram pics in Twitter as a picture, not as a less appealing link (which is what you get when you post to Twitter normally via Instagram). The point here is that, if you’re frustrated by how long something takes to do on social media, odds are that someone else has figured out a way to do it faster and/or easier. So, do a quick Google search for whatever’s slowing you down, and you’ll probably find a solution. And finally, because I can’t think of a decent segue . . .
Social media is a wonderful way to promote yourself or your work, but you need to have an official online home base that you own. Social media venues come and go. You don’t want to rely on Facebook or Twitter for your online presence. They can change their algorithms, bury your posts, or lock your account as they see fit. Use social media to gather fans and followers, but point them ultimately toward your own website that belongs solely to you. Does Bruce Wayne change into his Batman outfit on a random Gotham rooftop? No, he does it in the Batcave. Does he research criminals in the local Gotham library? No, he does it in the Batcave. Does he pee in dark alleys? No, he pees in the Batcave (or maybe in some strategically located Bat-potties scattered around the city). Sure, everyone sees him lurking on rooftops and patrolling crime scenes, but his real headquarters is the Batcave. Why? Because he owns it. Likewise, if you own your own website, then–like Batman–you own your online destiny. And really, isn’t being like Batman the whole point of social media?